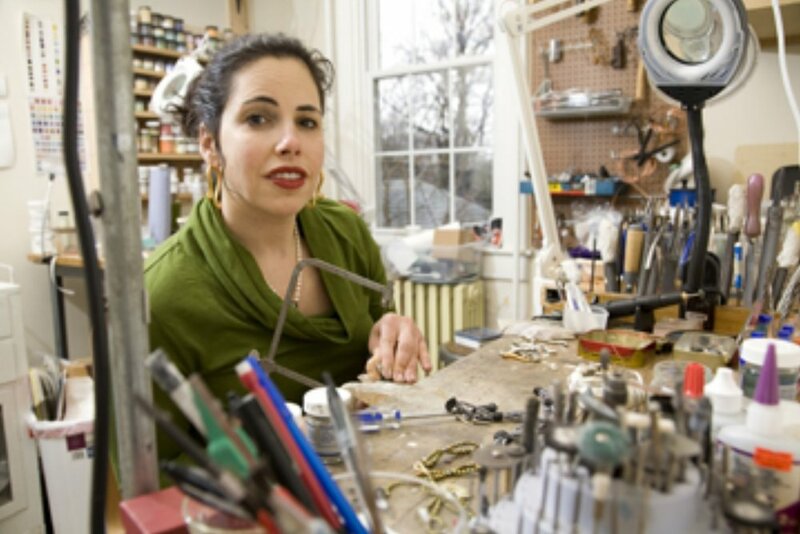 Shana Kroiz is a Baltimore based jewelry designer and maker who specializes in handmade enameled and precious metal art jewelry. Kroiz is internationally recognized for her meticulous craftsmanship and sensuous sculptural forms. Shana Kroiz creates Jewelry that is sophisticated yet edgy and is spectacular to wear! Shana Kroiz's Jewelry can be found at some of the most prestigious Craft Shows in the country as well as in the permeant collections of Museums such as MAD The Cooper Hewitt in New York City and the Racine Art Museum in Wisconsin.